The New Forest Hunt was meeting towards the north of their country, not far from Fordingbridge, about an hour and a half’s drive away. I always love a day’s visiting, seeing ‘how the other half lives’, and so we accepted the kind invitiation made over Christmas dinner from my aunt Judy Sharrock, a New Forset subscriber, and set off . Judy introduced us to the Masters and 30-strong field before we hacked from our forest car park to the very generous meet hosted by the team at Arniss Equestrian where three choices of port, vol-au-vents and mugs of soup set us up for the day. It was a busy day for hounds, and we enjoyed crossing the country with only the odd gorse bush blocking our path, I think we came across two gates and one road all day. As joint MFH Alan Brown reminded us, this is hunting as it would have been in the old days: William the Conqueror, after winning the battle of Hastings in 1066 created the New Forest as his personal hunting ground, and crossing the country, without a road or fence in sight, you really are transported back to those times. We both particularly enjoyed how field master Paul Ames, very well mounted on an excellent forest pony, kept us well in touch with hounds, who worked hard all day to find the trails. 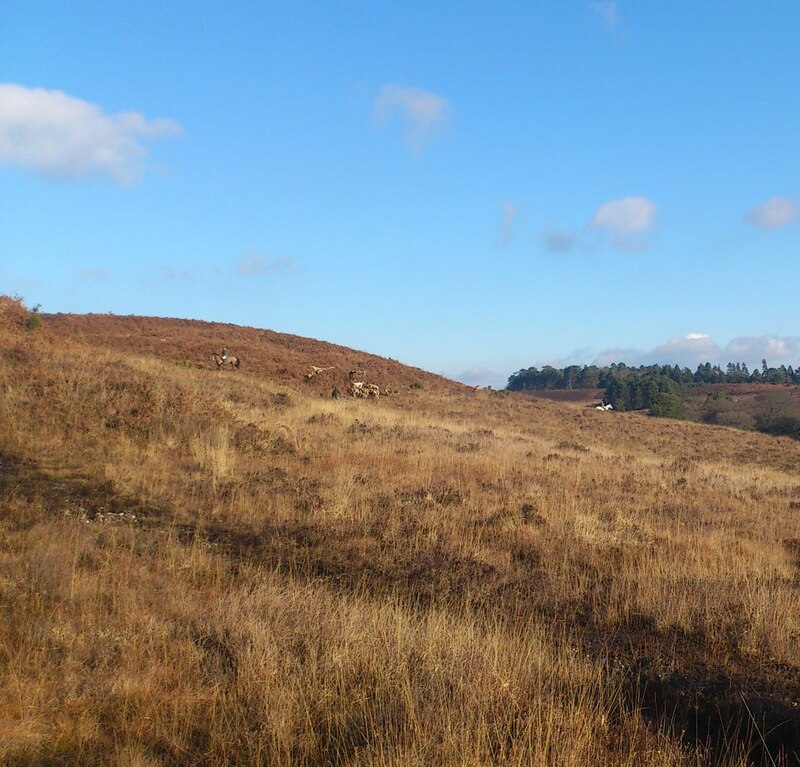 The pack was small in number, but very fast, and we had some lovely runs across the heathland, with the odd ‘hold hard’ from Paul preventing us from ending up hock-deep in a bog. Much of the field was mounted on forest ponies, clearly very adept at crossing the open moorland, dodging gorge bushes and bogs, and scooting under the low branches of the beautiful silver birches and beech trees in the forest. 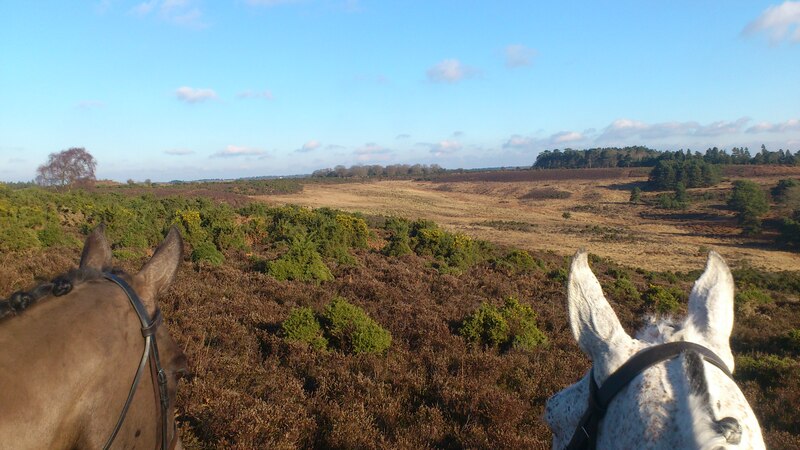 Our two hunters, all of 6 inches bigger than the local horses, and more used to hedges than heathland and forest, adapted very well to the new going, and they seemed to enjoy the wide open spaces as much as we did. 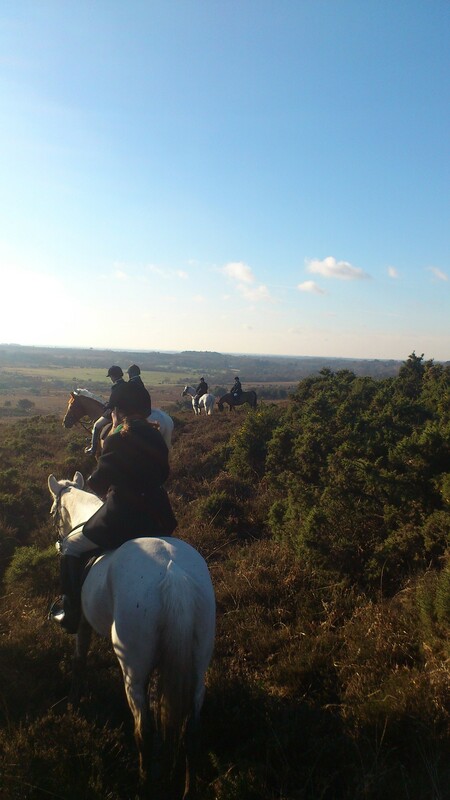 Driving home, we both agreed that the cheerful crowd, scenic country and great sport made our day with the New Forest Hunt one to remember. Thank you very much to Judy, Masters Alan Brown and Paul Ames for the invitation, Huntsman Michael Woodhouse for showing such good sport, and Secretary Graham and everyone in the field for making us so welcome – we are already looking forward to our next trip!